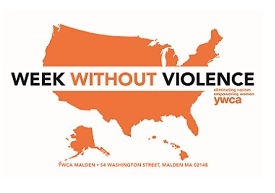 We want to Thank Malden High School and the Malden Community for their support of TASK’s Week Without Violence Campaign. It was a two-part event of getting the facts and making your mark to end violence in our community. We hope that everyone can agree that we need more than a week without violence…. Check out some of the highlights of our event. Thank you to Peg Crowe, Director of Teen Services, for coordinating TASK’s work on this campaign and this video. Previous Previous post: What is Week Without Violence? What is Week Without Violence?